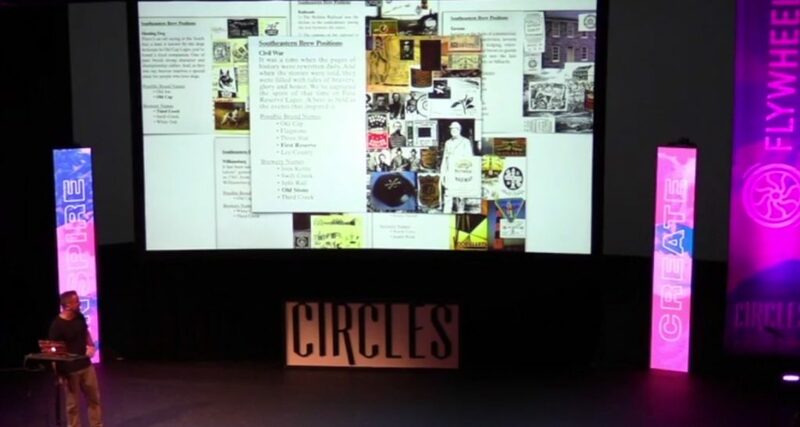 During Joe Duffy’s talk at the Circles Conference, NB designers Megan and Sylwia learned about the acclaimed agency’s approach to mood boards. Duffy’s creative team uses a strategy that sets them up to be the architects of their projects, rather than reactionary designers or ego-driven art directors. As opposed to a typical client-agency relationship, Duffy’s team aims to partner with their clients by opening a constant dialogue between them. Instead of getting an assignment, running to their sketchbooks, and coming up with a fully complete idea that wows the client, Duffy takes a measured, methodical route. His goal? Eliminate the possibility of surprising the client. As opposed to a typical client-agency relationship, Duffy’s team aims to partner with their clients by opening a constant dialogue between them. Learning how Duffy’s team uses a mood board to guide the entire process for each project really struck Megan and Sylwia. After getting an assignment, Duffy’s agency interviews the client about how they define their brand, the goals for the project, and how they fit into the marketplace. The agency identifies with the client the key brand attributes or themes they want to focus on, and builds one mood board for each attribute or principle. This is how NB designers interpreted the message: imagine an energetic, authentic, warm brand. Our designers would create a board for each word, allowing each board to send a strong individualized message. These are then presented to the client, as a tool that allows our partner to take a step back and define how they want to visually portray their brand/product/campaign/etc. The client may choose colors, fonts, illustrations, photos, old ads, packaging—all of which portray the message that they have in mind. 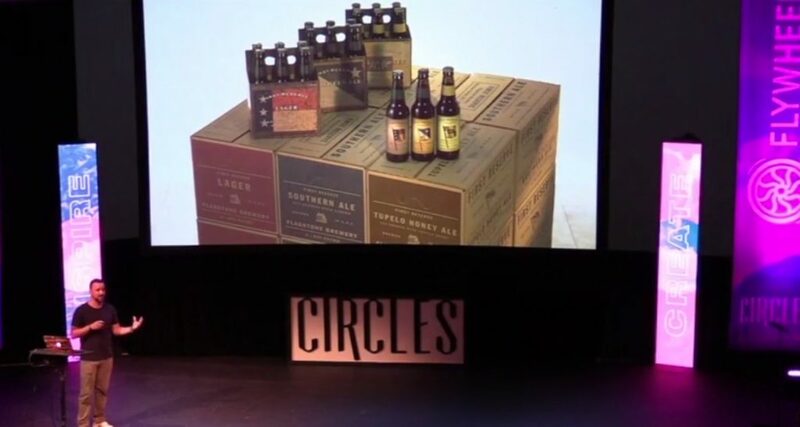 Duffy shared a case study where his team worked on a few different concepts for an emerging southern brewery. 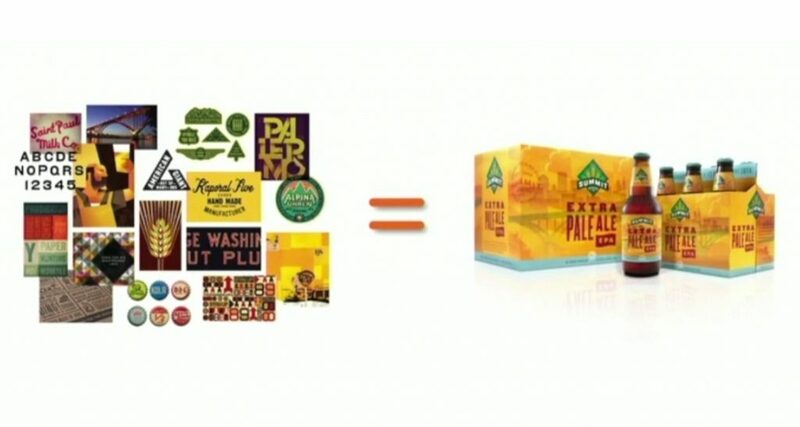 They developed various ideas relative to the brand’s positioning. In the end, the theme they settled on was the Civil War, the lens through which all branding was to be developed. From there, the client gives feedback based on the visuals, and will pick one board to move forward with. 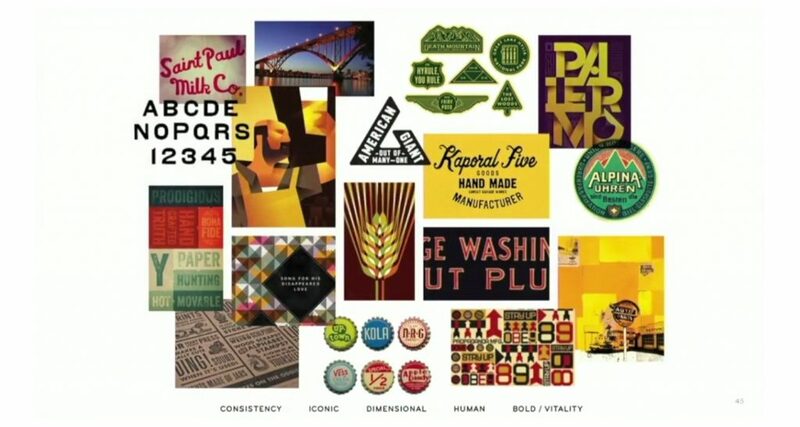 These are loose interpretations of the brand vision, and therefore more flexible. Establishing a concrete direction in the first phase saves time and money in the long run, as obvious risks are associated with changing visual motifs, colors, and fonts in the final phases. In NB’s experience, using mood boards in the beginning to guide the workflow allows both the client and the designer to do the hard work up front—getting onto the same page and making sure there’s a mutual understanding of the visual language. Once the client and designer both feel that the board appears cohesive and sends a strong message, it is time to sign off and move into the next phase—design and implementation, directly driven from the board. In each future phase, designers look back to the approved mood board to make sure they’re staying on track with the original vision. This helps avoid introducing something that’s unrelated to the concept midway through the process. Ultimately, this increases productivity and the quality of designs. 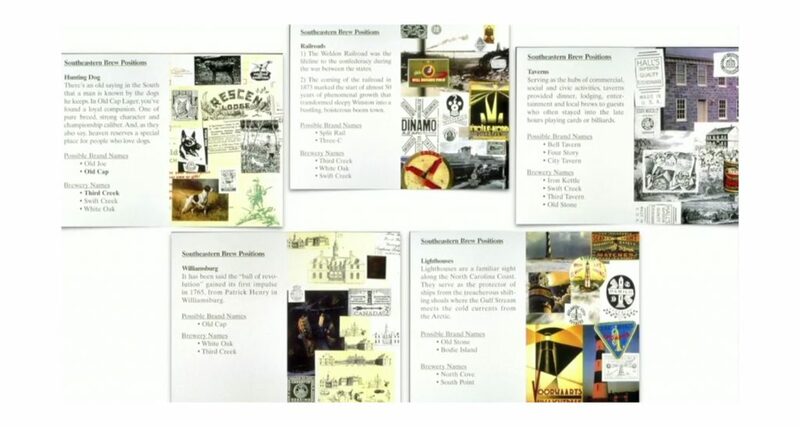 Another example Duffy shared was for Summit Brewery. The initial board indicated a color palette, typographic style, and possible patterns, illustrations, or photographic style. The final product is a clear representation of that initial vision, completed through a combination of typography, shapes, illustrations, and colors. Soon, we’ll share a success story of how NB used this strategy to launch a national consumer campaign in little time. Stay tuned for more! Want to kick start your next project with a collaborative mood board?